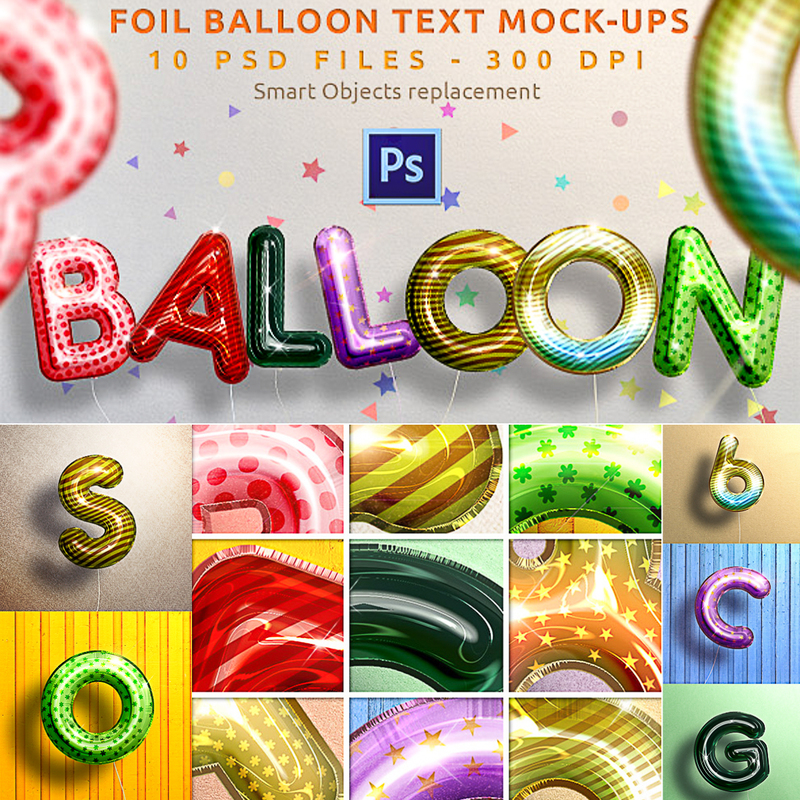 Set of 10 Realistic Foil Balloon Text Mock-ups. You’ll get: 10 Fully layered PSDs, Smart object replacement, Super easy to edit text and elements, Well organized layers, Works on text, shape and any layers, Easily modify text colors and patterns. File format: .psd, .asl for Photoshop or other software. Tags: 3d, action, add-on, air balloon, balloon, balloon letters, birthday, colorful, creator, effect, foil balloon, generator, happy, helium balloon, illustration, inflatable, kids, number, party, party balloon, photorealistic, shape, shiny, smart object, text effect, text style, typography, word balloon.